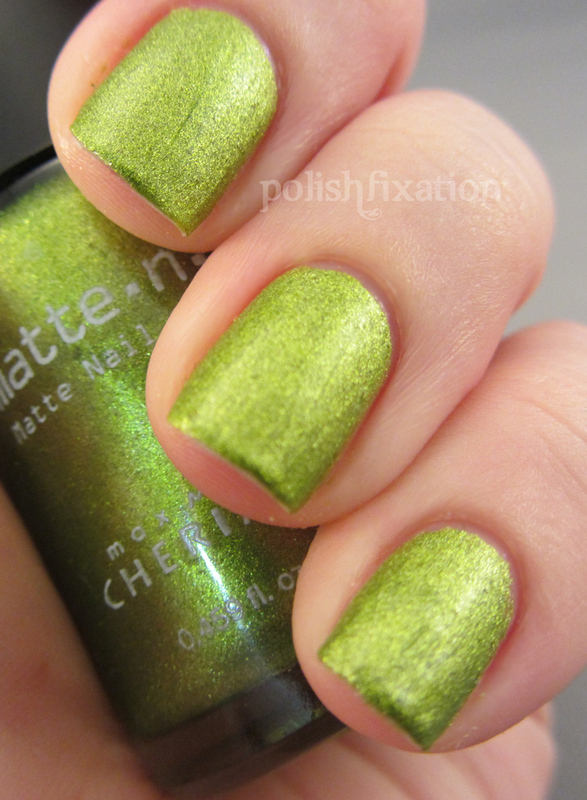 polish fixation: Cherimoya Matte N A, Supense! Cherimoya Matte N A, Supense! Hey guys, happy Friday! I have a quick post today to show the gorgeousness that is Suspense from the Cherimoya Matte N A collection of matte polishes! I love this collection so much because about half of them actually have more of a suede type finish rather than the shiny matte finish, and I adore suede mattes so much! I love this color! The finish is amazing too. The application is a little tricky as you have to be quick cause it really does start drying fast! But the final outcome is so worth it! I have about a dozen of these to show you, so I will try to get to them all over time. Have you tried any of the Matte N A polishes? What do you think of this one? Wow! 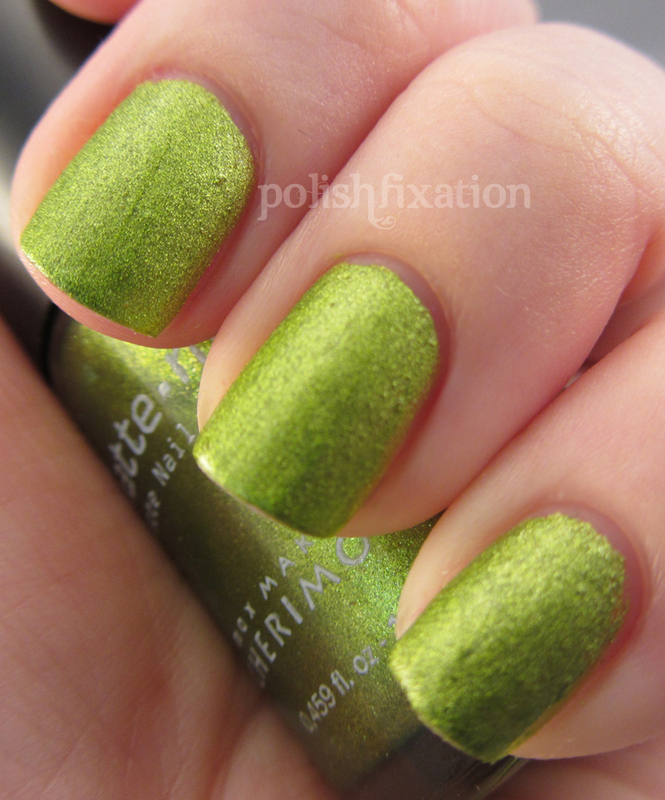 This is a really fun polish! Where do you get these from? This colour is gorgeous!